Check out our Google AdWords Tutorial for 2018. Our Step-By-Step Google AdWords Tutorial for Beginners is a great way to get started with Pay-Per-Click (PPC) Advertising and Google Ads. Google AdWords Campaigns can help you target keywords and drive relevant traffic to your website to drive leads and sales. We have done a Google AdWords Tutorial for 2017 but this is our updated Google AdWords training video. If you are not sure about Google Ads, whether you want to do search engine marketing, display advertising, and video advertising on Google's network, we can help you get started with our educational videos. What is Google AdWords? Google AdWords is a PPC Advertising platform where you can target search keywords (among plenty of other targeting options) and drive relevant traffic to your website. It is a great way to reach ready-to-buy customers and drive sales as well as move people through your sales funnel. Most large companies are running Google ad campaigns because they have a great platform where you can measure your results and optimize your marketing dollars. In addition, we answer what Google AdWords is in our video here: https://www.youtube.com/watch?v=faFflAUlyO8 Helpful URLs: We wanted to give you plenty of Google AdWords training videos including strategies, tips, best practices, mistakes to avoid, and more. 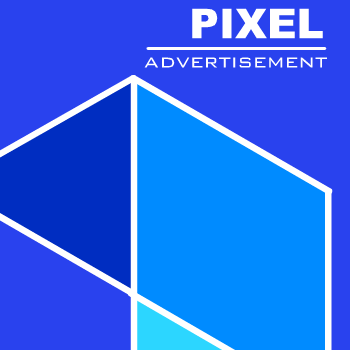 Google Display Advertising Are you looking for a Google Display Advertising Tutorial rather than our version for the search network? We have a video showing how to set-up display ads and the different targeting options available, including placement targeting, audiences, remarketing, keyword targeting, and more. You can find our Google AdWords Display Tutorial here: https://www.youtube.com/watch?v=CRTlNFPQCHk Google AdWords Keyword Match Types Tutorial: https://www.youtube.com/watch?v=WhKkCzd-rL8 Keyword match types are important to understand including broad match, modified broad match, phrase match, and exact match keywords. Each keyword targeting match type includes modifiers. Modified broad match keywords include plus signs before each word that needs to be in the search query. Phrase match keywords are surrounded by quotes and exact match keywords are surrounded by brackets. Google AdWords Editor Tutorial: https://www.youtube.com/watch?v=ZUpSZKVneoE Google AdWords Editor is a software that helps you manage advertising campaigns. You can download it to your PC with Windows or Mac and manage your Google AdWords campaign with ease and make bulk changes. Google Analytics Tutorial for Beginners: https://www.youtube.com/watch?v=v42sV_FX2DY Google Analytics is vital to Google AdWords success. We start in the video by showing you how Google Analytics can help you measure your advertising campaigns and optimize them. You need Analytics on your website so you can create Goals and import them into Google AdWords as conversions. Google AdWords Express Tutorial: https://www.youtube.com/watch?v=v3GfnyoPLCE Our Google AdWords Express Tutorial Google AdWords Keyword Bidding Strategy: https://www.youtube.com/watch?v=JuQlNs7fq30 Google AdWords Audience Manager Tutorial: https://www.youtube.com/watch?v=aZDGMBhCFKs Google AdWords Linked Accounts - Link AdWords to Google Analytics, Search Console, and YouTube: https://www.youtube.com/watch?v=tZzAAMU2oOE Import Google AdWords Campaigns into Bing Ads: https://www.youtube.com/watch?v=3Uz_bQ9wXN4 What is Pay-Per-Click Advertising (PPC)? https://www.youtube.com/watch?v=uK4M1YQ26HU What is Search Engine Marketing (SEM)? https://www.youtube.com/watch?v=X2gqgXvREdk Video Description: We start by going through the importance of Google Analytics and how you need to get it installed on your website. After that, you want to create Goals in Google Analytics that you can track. You can set-up Key Performance Indicators (KPIs) as your Goals including sales, leads, page views, duration goals, reservation goals, and more through Google Analytics. After that, we show you how to import Goals into Google AdWords as conversions. You can actually set-up Website Conversion campaigns to optimize for leads or sales based on the conversions you upload. The most important thing is to maximize your conversion value and your return on ad spend and return on investment (ROAS & ROI). When you are set-up with your conversions, we then show you how to create a Google AdWords Search Network Campaign. Google AdWords campaigns can be difficult to understand but we show you campaigns, ad groups, keyword targeting, keyword match types, google adwords ads, ad extensions, ads, campaign settings, location targeting, ad scheduling, ad rotation, google ad networks, search partners, and more. The most important part of our Google AdWords Tutorial is understanding you need to be patient and optimize your campaigns. Test different ads and landing pages in addition to adding negative keywords.